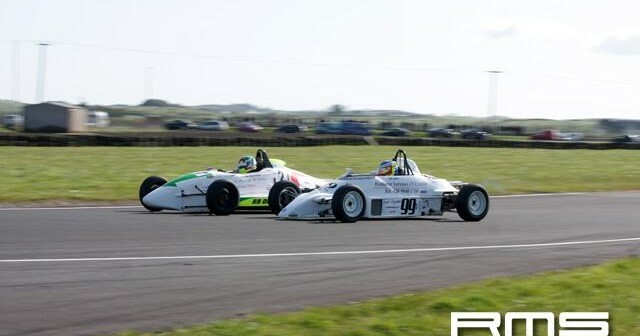 ADRIAN Pollock won an action packed opening round of the new Super Series Formula Ford 1600 Championship at Kirkistown. The Omagh driver inherited the lead with his dark blue Van Diemen as Ivor McCullough and Jonny McMullan crashed out in spectacular style after a race long duel. Pollock sitting in third place was ready for what was expected to happen as McCullough and McMullan fought for the lead lap after lap. A delighted Pollock crossed the line to claim victory ahead of Noel Dunne and Derek M Daly. 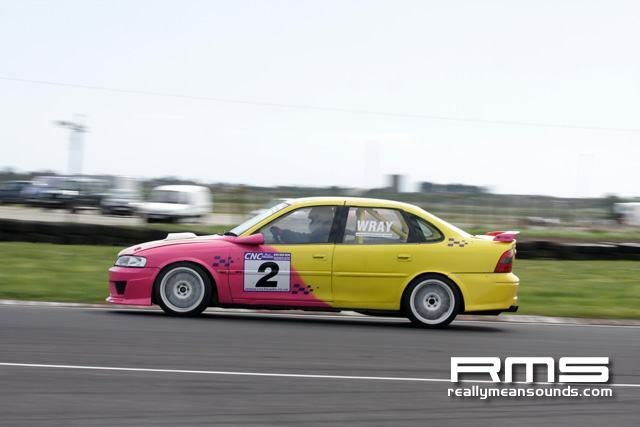 Mullans sole consolation was that he lowered the class lap record yet again. Earlier in the day Pollock won the qualifying race from Noel Dunne; this was red flagged after a crash involving Chris Paul and John Stewart. Pauls car crashing heavily on Stewarts and it took some time to extract Stewart from the wreckage, thankfully he was lucky to escape with minor injuries. 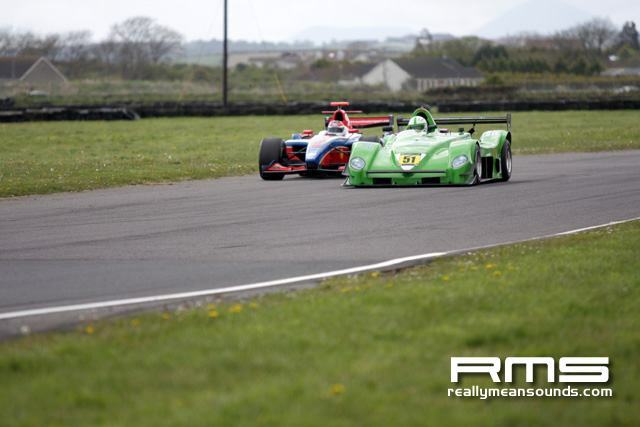 The Irish Ginetta Junior series returned to the County Down venue for rounds five and six and it was Jake Byrne who won both, raising his tally to four wins this season and a comfortable lead at the top of the table. 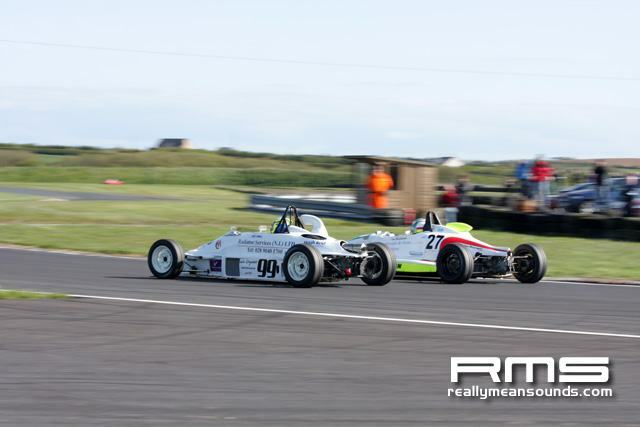 The Irish Formula Libre cars produced the fastest racing with wins for Eamon Matheson and Philip Shields. 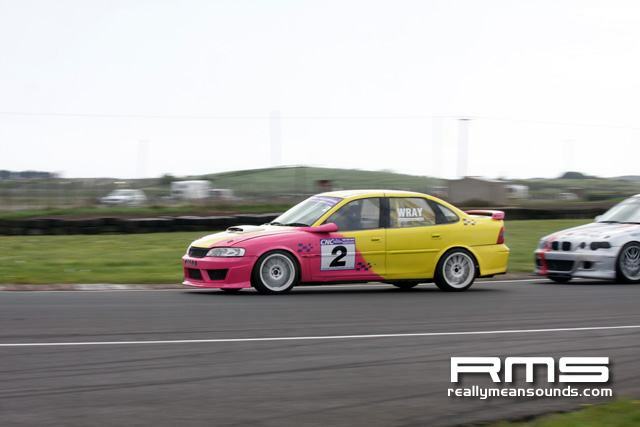 The Saloon/GT race saw poleman Pat McBennett take the honours with his Lotus ahead of a fierce battle for saloon honours with Gerard McVeigh scoring with his Mitsubishi ahead of Ralph Jess (BMW) and Greer Wray (Vectra). A new class to Kirkistown and round two for the budget Ford Fiesta series and with entries steadily growing it was James Turkington who crossed the line first with Chris Rogan second and Andrew McShane third. 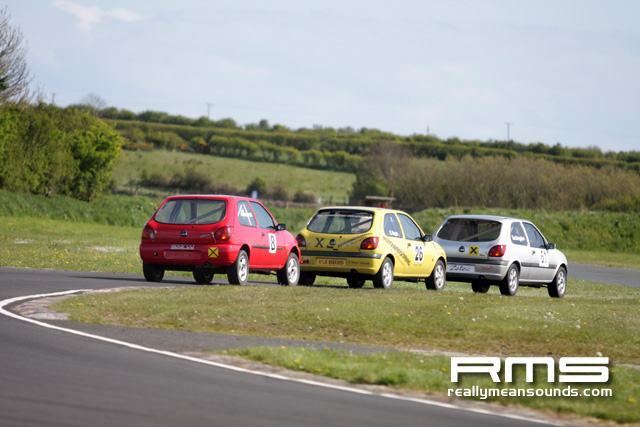 Arnie Black driving a Crossle 9S in both Roadsports races and he duly won with Ryan Magennis establishing a new class record in the N.I. Sevens Class. 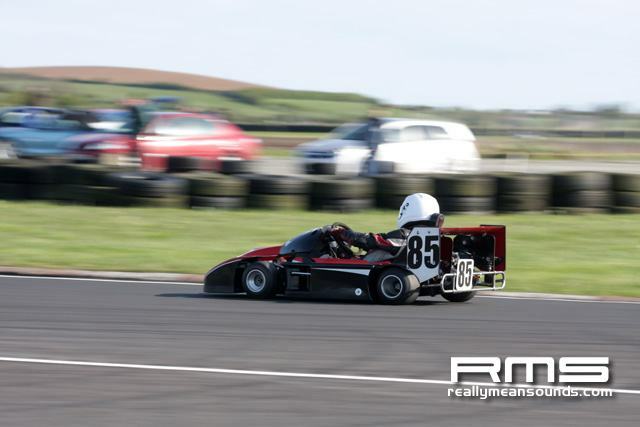 Race wins in karts went to Liam Fox, two in Superkart Division 1, James Irvine, two in Superkart 125 and there were wins for Stephen Foster and Alan Witherow in Superkart 250 National. 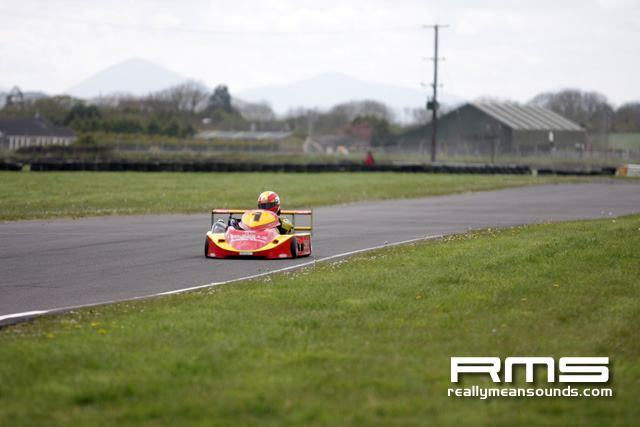 qualifying race : 1 Adrian Pollock (Van Diemen DP08) 8 laps in 8m 22.14s (86.72mph); 2 Noel Dunne (Van Diemen RF00) +01.47s; 3 Derek M Daly (Van Diemen RF93); 4 David McCullough (Van Diemen RF00); 5 Neville Anderson (Mondiale M89S); 6 David Nicholl (Reynard FF89); 7 Ryan Campbell (Reynard FF84); 8 Stephen Mawhinney (Crossle 32F); 9 Michael Todd (Mondiale M84S); 10 Arnie Black (Crossle 32F). PP. Pollock: 1m 01.27s ((88.83mph). FL: Pollock 1m 01.56s (88.41mph). S: 14. 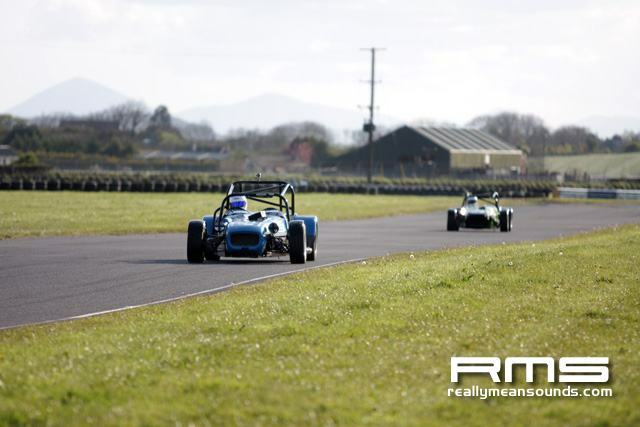 Final race : 1 Pollock 16 laps in 16m 40.67s (87.03mph); 2 Dunne + 13.33s; 3 Neville Smyth (Ray GR09); 4 Daly; 5 David McCullough; 6 Campbell; 7 Anderson; 8 Jonny McMullan (Mondiale M89S); 9 Black; 10 Nicholl. PP: Ivor McCullough 1m 00.75s (89.60mph). 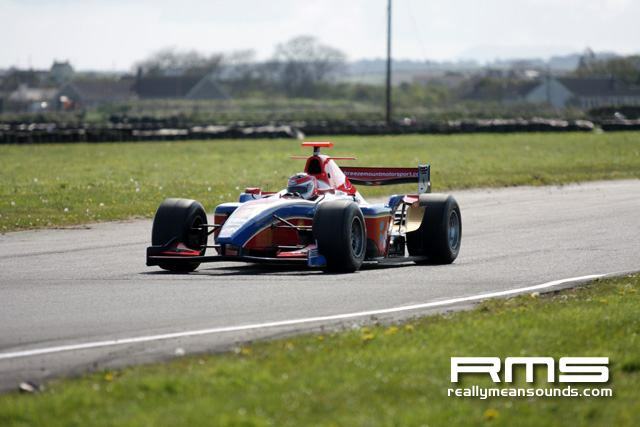 FL: McMullan 1m 00.91s (89.37mph).record. S: 18. 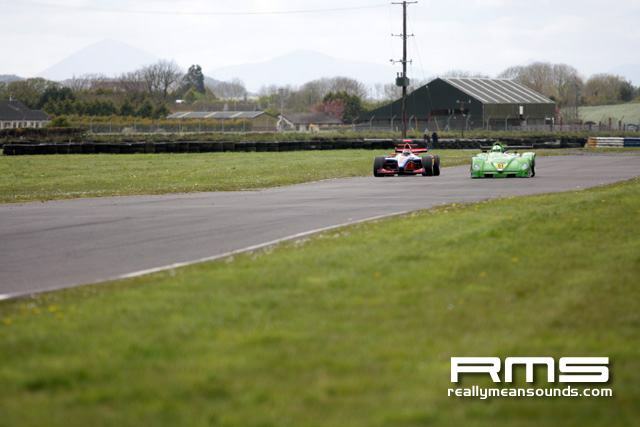 Race 1 :1 Eamon Matheson (E5) 12 laps in 11m 45.05s (92.64mph); 2 Mark Crawford (Jedi) + 4.10s; 3 Martin Daly (Tatus); 4 John Daly (Lola); 5 Peter Dwyer (Dallara); 6 Michael Roche (Dallara); 7 Stanley Watson (Lola); 8 Paul Heavey (Leastone); 9 Geoffrey Moffett (Van Diemen). 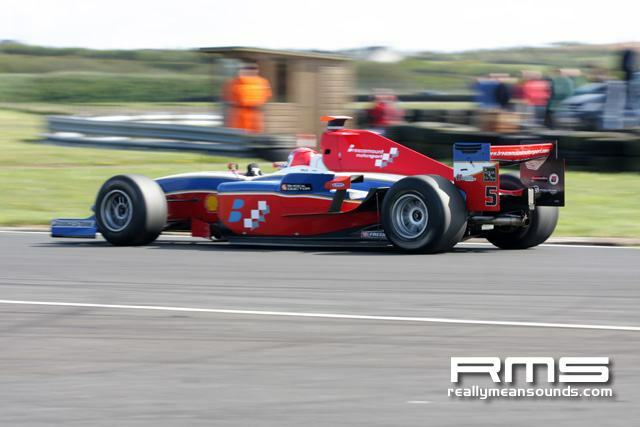 PP: Philip Shields (Dallara) 53.39s (101.94mph). FL: Matheson 57.23s (95.11mph). S: 11. Race 2 : 1 Shields 15 laps in 13m 50.58s (98.30mph); 2 Crawford; + 51.13s; 3 Dwyer; 4 Martin Daly; 5 Heavey; 6 Watson. PP: Shields 54.40s (100.06mph). FL: Shields 52.98s (102.72mph). S: 9. 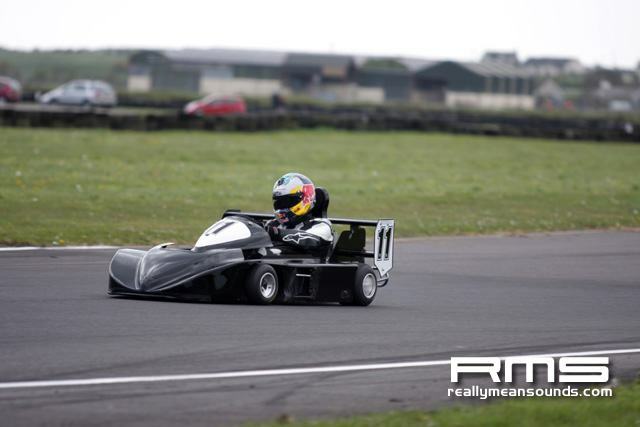 Race 1 : 1 Jake Byrne 10 laps in 12m 10.40s (74.52mph); 2 James Fleming + 02.15s; 3 Andrew Clarke; 4 Jack Finlay; 5 Sophie Byrne; 6 Luke Hourihan; 7 Stephen Huddlestone; 8 Eorann ONeill. PP: Byrne 1m 11.91s (75.70mph). FL: Clarke 1m 11.97s (75.63mph). S: 9. Race 2 : 1 Byrne 10 laps in 12m 19.32s (73.62mph); 2 Clarke +03.86s; 3 Fleming; 4 Dylan Curley; 5 Sophie Byrne; 6 Finlay; 7 Hourihan; 8 Huddlestone; 9 ONeill. PP: Fleming 1m 12.30s (75.29mph). 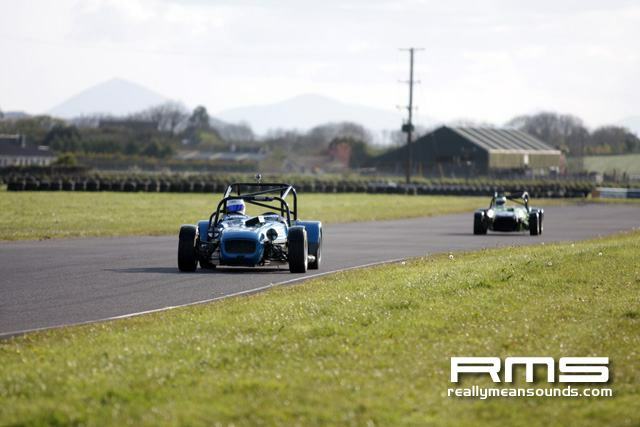 FL; Fleming 1m 11.86s (75.74mph). S: 9. 1 Pat McBennett (Lotus) 13 laps in 14m 06.50s (83.59mph); 2 Gerard McVeigh (Mitsubishi ) + 03.27s; 3 Ralph Jess (BMW); 4 Donal ONeill (SEAT Cupra); 5 Robert Patton (Honda); 6 Tommy Holmes (Honda); 7 Andrew Armstrong (Honda); 8 Martin McDonnell (SEAT Leon); 9 Aidan Vance (Honda).PP: McBennett 1m 01.39s (88.67mph). FL: McBennett 1m 01.98s (87.81mph). CW: McBennett; McVeigh. S: 12. 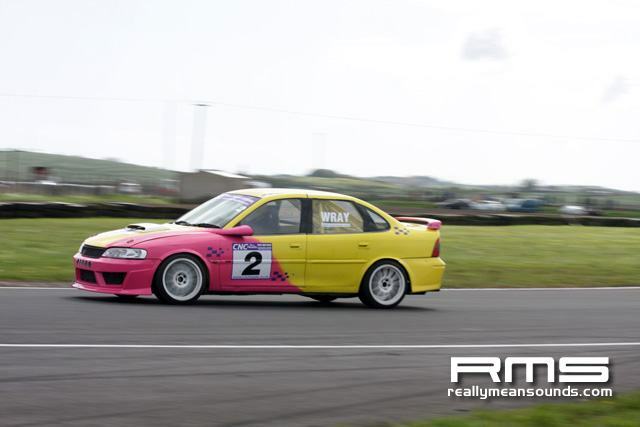 1 James Turkington 10 laps in 13m 18.53s (68.16mph); 2 Chris Rogan +00.37s; 3 Andrew McShane; 4 Ian Newport; 5 James Hanna; 6 Roy Smyth; 7 Ryan Robinson; 8 Alister Robinson; 9 Norman Black. 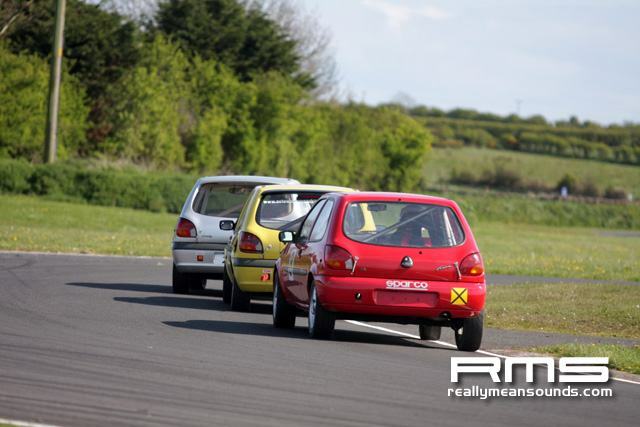 PP: Rogan 1m 18.60s (69.25mph). FL: Hanna 1m 17.19s (70.52mph). S: 9. Race 1 : 1. 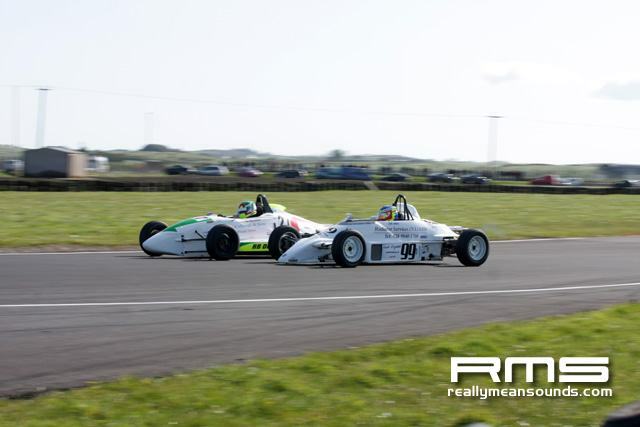 Arnie Black (Crossle) 13 laps in 13m 45.17s (85.75mph); 2 Ryan Magennis (GMS) + 12.47s; 3 Alan Davidson (Westfield); 4 Jack Boal (Locost); 5 Graham Moore (Westfield); 6 Johnny Armstrong (Westfield); 7 Jimmy Dougan (Locost); 8 Kieran Smyth (OX7); 9 Colin Reid (Reis). PP: Black 1m 01.27s (88.84mph). FL: Black 1m 01.49s (88.52mph).CW: Black; Magennis. S: 12. Race 2 : 1 Black 13 laps in 13m 52.35s (85.01mph); 2 Magennis + 06.15s; 3 Davidson; 4 Trevor Allen (Stryker); 5 Dougan; 6 Laurence Mawhinney (Westfield); 7 Moore; 8 Armstrong; 9 Stephen Wright (Locost). 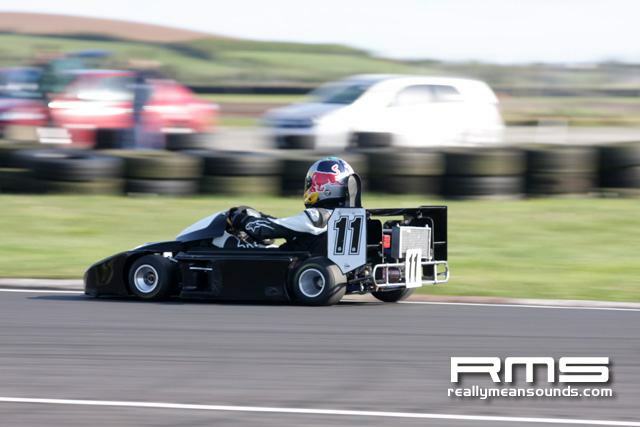 PP: Black 1m 01.48s (88.54mph). 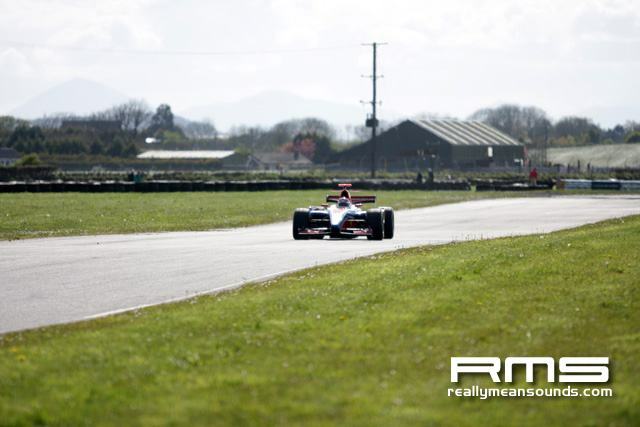 FL: Black 1m 02.11s (87.64mph). 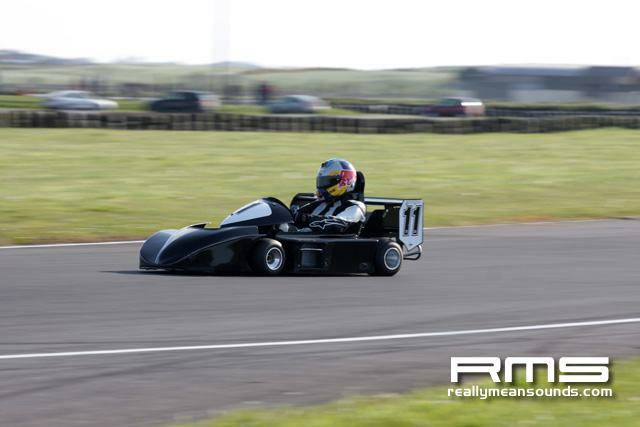 Magennis class B 1m 03.04s (86.34mph) record.CW: Black; Magennis. S: 11. Race 1 : 1 Liam Fox 8 laps in 07m 40.53s (95.46mph); 2 Richard Dewart; 3 Jonny Wilkinson; 4 Arie Verhoog. FL: Fox 56.93s. 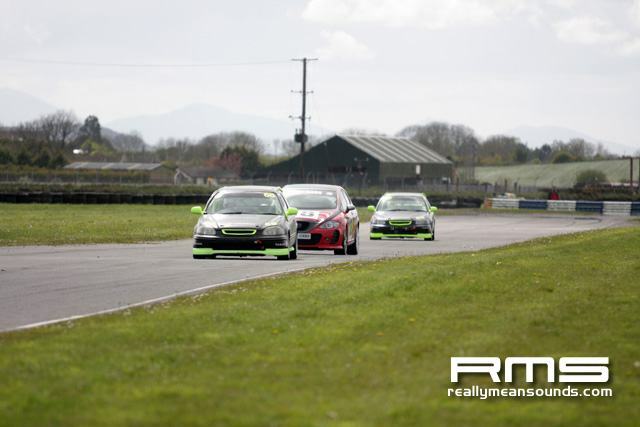 Race 2 : 1 Fox 8 laps in 07m 43.28s (94.89mph); 2 Dewart; 3 Verhoog; 4 Wilkinson; 5 Robin Hamill. FL: Fox: 56.64s. Race 1 : 1 Stephen Foster 8 laps in 08m .23.04s (87.39mph); 2 Des Black; 3 Scott Greenaway; 4 Adam Foster; 5 Kris Meeke. FL: Meeke 59.19s. Race 2 : 1 Alan Witherow 8 laps in 08m 17.53s (88.36mph); 2 Stephen Foster; 3 Mark Montgomery; 4 Meeke; 5 Adam Foster; 6 Greenaway; 7 Black; 8 Jonathan Adams. FL: Meeke 01m 00.22s. Race 1 : 1 James Irvine 8 laps in 08m 21.74s (87.62mph); 2 Gary Agnew; 3 Aaron Newell; 4 M.McGaffin; 5 Philip Mills; 6 Noel Lindsay; 7 Philip Graham; 8 Ken McBride; 9 Brian Jones. FL: Irvine 01m 01.51s. Race 2 : 1 Irvine 8 laps in 08m 27.55s (86.61mph); 2 Lindsay; 3 Newell; 4 McGaffin; 5 Cliffy Hamilton; 6 Jones; 7 Graham; 8 Mills; 9 Geoffrey Simms; 10 McBride; 11 Agnew. FL: Irvine 01m 02.34s.